So it was that after several months of petitioning many park users and the general public ,that our petition calling for an officer of Sandwell council to give evidence under scrutiny was put to a joint meeting of the neighbourhoods and health scrutiny board. There is more to come on the aftermath of this and in the days and weeks ahead we will look at what was said and what it all could mean for Sandwell’s geese. Our case was based on science, and Sandwell council’s lack of it. I think they were genuinely surprised by what they did not expect. Five minutes were allowed to speak, I just hope I did you all and the geese the justice that they deserve. “This petition is presented on behalf of bird lovers against Sandwell Council’s clandestine cull of Canada geese in two of its Green Flag parks. The diversity of its signatories mirror our aims to stop the prejudicial slaughter of one target species. The lack of scientific evidence behind the original cull, requires scrutiny from this committee. The origins of the report and its verbal approval, off record require scrutiny. The “options” in this 2013 report presented only a final solution of goose extermination based on exaggerated numbers of geese that can be refuted. We have seen conflicting statements made by Sandwell Council, and lies in an amateurish attempt to hide scrutiny of the process. A natural England GENERAL LICENCE only requires the culler to abide by the conditions within that type of licence. Misusing or exceeding these parametres may lead to prosecution. RISKS APPEAR IMAGINED RATHER THAN PROVEN THERE IS NOT ONE SINGLE PIECE OF DIRECT EVIDENCE IN ANY STUDY TO CONFIRM TRANSMISSION OF POTENTIAL CITED PATHOGENS CARRIED IN EVERY ANIMAL, INCLUDING MAN, THAT CAN BE TRACED BACK TO BEING CAUSED BY CANADA GEESE OR THEIR FAECES. SMBC cite a study by Moriaty et al. The same new Zealand author has also published a related study “Survival of Escherichia coli, Enterococci, and Campylobacter (SPECIES) in Sheep Feces on Pastures” Sheep and cows of course graze within sandwell valley, where large numbers of people gather and pass through. The study found concentrations of E. coli, enterococci, and Campylobacter (species) appear to be higher in sheep feces than in cow pats, but both may contain all the pathogens cited as being harmful to human health that the council cannot show any evidence of being present in Sandwell’s geese. 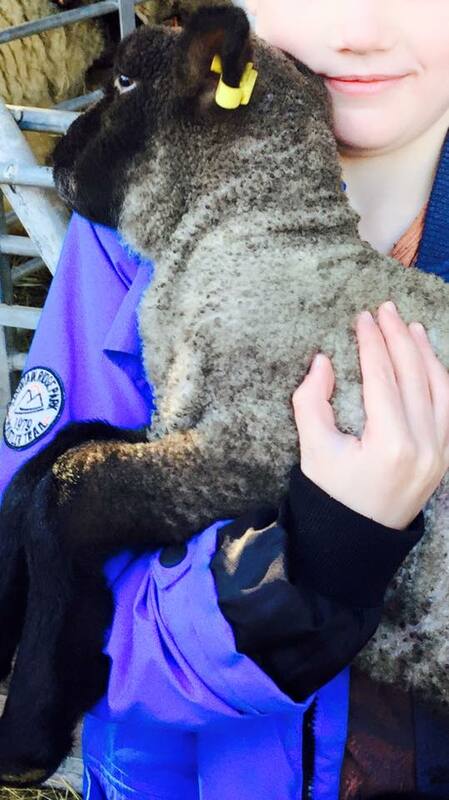 you can see the child’s mouth right next to the lamb. I would urge the committee to look at the Animal aid’s “Is factory farming making you sick” disease , for context of the very low risk that Canada geese cause in Sandwell’s parks in terms of disease risk to the public from what some of you might eat on your plate. I would like to add that I have been rescuing such wild birds for over 17 years, with others much longer. I have been covered in their blood and yes ” inadvertently swallowed” some of their faeces. It has never caused me any ill health, and so long as hygiene precautions are followed, it is very unlikely to do so. In terms of objective risk, we implore the scrutiny committee to launch an investigation into this cull, look at the literature that myself and the organisation Animal Aid can provide including a successful geese management plan for lake windermere, and consider that children handling farm animals and then eating at a tea room pose a greater risk than the unlikely contact with wild birds? The Council must get proportionate and not succumb to prejudice and reflex hostility to this one species, the Canada goose, nor scapegoat it for its failed management policy on its open spaces. CULL TURDS, SANDWELL COUNCIL NOT BIRDS!!! PLEASE MAKE UP YOUR OWN MINDS AS TO WHETHER SANDWELL COUNCIL HAVE A CASE TO ANSWER. WE HAVE CERTAINLY MADE OURS ON BEHALF OF THOSE WHO DO NOT SUPPORT UNSCIENFIC EVIDENCE BEING TRUMPED BY PARK DICTATORS AND THEIR FAN CLUBS.